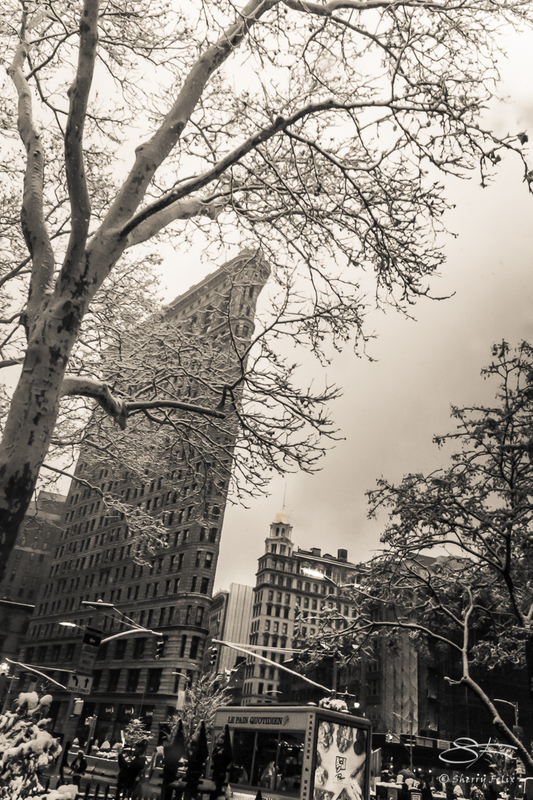 The Flatiron Building is by Madison Square Park. It was the first snow of the season on December 8, 2017. Thanks. It was my aim to make it old time holiday like. Love the snow on the trees. Very well captured! Thanks. Adjustments in Lightroom created the atmosphere.